Dr. Hoch is extremely concerned about the obesity epidemic and the plethora of health problems skyrocketing, as a result, diabetes, heart disease and high blood pressure. A major component of the obesity crisis is the availability of plentiful and cheap processed foods, often high in sugar, salt and unhealthy fats. We have evolved to seek out these flavors because they are present in calorie-dense foods. But, in modern Western society, the calories our ancestors had to struggle for are now overabundant (Can Med Assoc J 2010; 182: 327-8). The clash between our innate food preferences and our modern food system has created many new disorders, including junk food addiction. How do we become addicted to junk food? And how can we temper food addiction to maintain optimal health? Dr. Hoch explores the latest research. A brand new study posted in the journal Nature Neuroscience gives further credence to the idea that unhealthy food can indeed be addictive. (Nat Neurosci 2010; 13:635-41). Scholars at the Scripps Research Institute provided a group of rats an unlimited smorgasbord of sweets, processed meats and other junk food. Not surprisingly, the rats quickly became obese. Next, the rats repeatedly received an electric shock upon eating the unhealthy food. Surprisingly, they continued to pig out. Furthermore, when the treats were replaced with healthier chow, the rats refused to eat at all. Dr. Hoch agrees with the researchers that these rats can teach us something about human compulsion to gorge on junk food. Unhealthy foods may alter the brain’s ability to tell us when we are full. When this brain “switch” is turned off, junk food ceases to satisfy, and an individual craves more of it – in other words, he or she becomes addicted. Consider the criteria and definition for addiction. An addiction is a compulsion that often becomes destructive to personal health and social relationships. The term has long described abuse of drugs or alcohol. Today science shows that the same brain activity associated with drug and alcohol addiction is also present in compulsive behaviors like problem gambling, as well as use of seemingly benign substances like food. No wonder many scientists are pushing to classify food addiction as a substance use disorder on par with drug addiction. (Medical Hypotheses 2009; 72:518-26). Several behaviors used to diagnose addiction are evident in cases of compulsive eating, including loss of control over use, repeated failure to change behavior and continued use despite negative consequences. (J Addict Med 2009; 3:1-7). According to one report presented in 2008 at the American College of Neuropsychology in Scottsdale, Arizona, rats became accustomed to eating large quantities of sugar, then were denied the sweet treat. The rats showed addiction responses as withdrawal and craving followed by relapse when researchers reintroduced the sugar. Other animal studies also reveal withdrawal symptoms in rats that receive an unlimited high-calorie diet and then have intake restricted. (Proc Natl Acad Sci 2009; 106:10016-20). Several neurochemicals and hormones work in tandem to control our appetites. Imbalances of any of these may be possible causes of overeating and food addiction. (Obesity and Food Addiction Summit 2009 Bainbridge Island, WA). For instance, in the Scripps study, previously noted, the obese rats” brains showed decreased dopamine receptors. Dopamine is a neurotransmitter that activates the brains reward system, reinforcing behaviors that cause pleasure. A decline in dopamine receptors is implicated in heroin and cocaine addictions. According to scientists, a similar process occurs in food addiction (Nat Neuro Sci 2010; 13:635-41). The hormones leptin and insulin are critical to appetite regulation and nutrient absorption. Levels of both key hormones plummet in rats fed a high fat diet (Physiol Behav 2006; 89: 6112-16). Leptin regulates hunger, while insulin prompts the liver, muscles and fat tissue to absorb sugar from the bloodstream. A decline in these hormones interferes with our ability to recognize that we are full. Cortisol, best known as the “stress hormone” may also play a role in food addiction. The endocrine system reacts to high levels of cortisol by releasing natural opioids (chemicals that alleviate pain and cause euphoria) to reduce the effects of stress. These opioids are also released in reaction to consumption of enjoyable food. Compulsive overeating therefore may manifest as a reaction to emotional strain as the brain seeks pleasurable opioids to combat stress. Research shows that some people may have an ingrained tendency toward addiction. Many gastric surgery patients who defeat food addiction seem to transfer to another addiction, such as compulsive gambling or shopping. (Can Med Assoc J 2010; 182:327-28). Some individuals have a predisposition to food addiction – researchers call it “external food sensitivity”. Individuals with this sensitivity experience powerful cravings upon seeing, smelling, or even thinking about food. Animals with a greater propensity to gain weight on a normal diet show more symptoms of withdrawal – cravings and anxiety – after being taken off a high fat and high sugar diet. (Psychopharmacol 2009; 204:431). The most notoriously addictive food ingredient is SUGAR. It triggers release of opioid and dopamine, the chemicals linked to addiction. (Neurosci Biobehav Rev 2008; 32:20-39). Researchers observe that sugar withdrawal symptoms parallel those of withdrawal of from morphine or nicotine (Obes Res 2002; 10:478-88). In fact, in another study, 94 percent of rats chose sweetened water over intravenous cocaine. (PLoS ONE 2007; 2:e698). Some researchers say contend that sugar is more addictive than heroine. Carbohydrates, especially highly processed ones, also show great potential for addiction. In a study at the University Of Illinois, overweight woman who reported frequent emotional eating were offered two identical-tasting drinks, one high in carbohydrates and one high in protein. The women were asked to choose the drink that made them feel better emotionally. They overwhelmingly selected the high-carb drink. If you feel that you are addicted to unhealthy foods, it is important to avoid situations and foods that could trigger a binge for you. This could mean taking a route home from work that avoids your favorite fast food outlet or unplugging the television if you find yourself tempted by commercials for junk food. Stress-related overeating necessitates alternate ways to deal with emotional situations. Chiropractic Care may be particularly helpful for those dealing with stress. In addition, to regular chiropractic adjustments the doctor recommends a brisk walk, deep breathing, yoga or a soothing cup of herbal tea. Post a list of stress busting techniques on your fridge to short-circuit your binge. In cases where junk food addiction is out of control, therapy and nutritional counseling maybe in order. Ask the doctor for referrals to such professionals. Finally remember that it is extremely difficult to adhere to a diet that deprives you of all pleasurable foods. Eat sensibly and enjoy healthy, satisfying foods that do not trigger overeating. 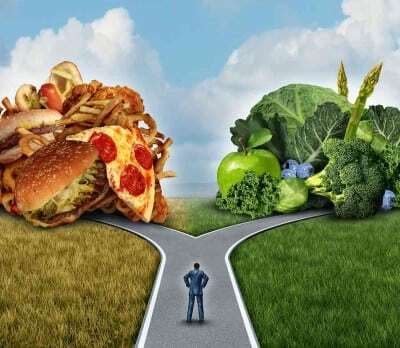 If you need help kicking the sugar and junk food habit, I have several methods that have worked very well with my patients including Acupuncture to temper addictions and my Metabolic Weight Loss Diet which utilizes HCG to help reduce apatite and curb cravings, while you lose weight.